Vihwas Rao (Shahid Kapoor) is an aspiring actor, but his mother wants him to become a police inspector. When he helps save Kajal (Ileana Da��Cruz) from a few goons, she mistakes him for an officer (as he is dressed in khakhi for a photoshoot). Word soon spreads about the incident and the brave officer, leading his mother to believe that Rao has indeed joined the police force. Things take a turn when circumstances force Rao to join the local goon Gundappaa��s gang. The movie is a tribute to films like Don and Munnabhai MBBS. 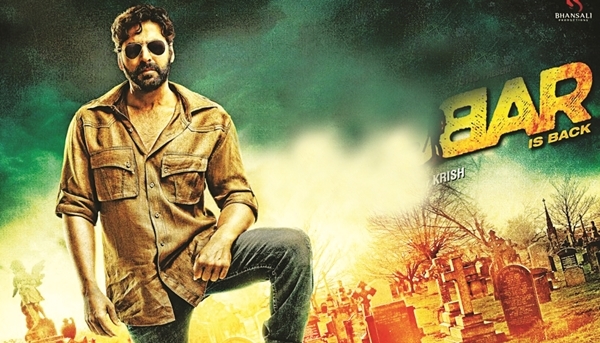 Aditya (Akshay Kumar), a professor, moonlights as a self-styled revolutionary called Gabbar. He grabs the spotlight when he and his gang kidnap 10 police officers and then reveal that their intention was to rid the police force of corrupt officers. Later, he befriends Shruti (Shruti Haasan), and while helping her get a pregnant lady to the hospital, realises that the institution fleeces its patients. Aditya also realises that he has an old score to settle with the owner of the hospital, Digvijay Patil. Watch what happens after Patil kills an honest officer in order to try and force Gabbar to reveal his identity. Most of the filma��s secondary cast were taken from the popular television series, Crime Patrol. 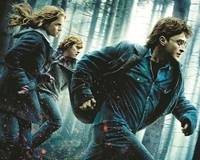 The first movie of the franchisea��s two-part finale, this movie follows Harrya��s (Daniel Radcliffe) attempt to destroy the horcruxes that protect parts of Lord Voldemorta��s soul. Returning to Hogwarts is harrowing as the school has been taken over by Severus Snape and the Death Eaters, and finding the horcruxes becomes more difficult with each passing step. And with Rona��s (Rupert Grint) increasing frustrations causing trouble, ita��s up to Harry and Hermione (Emma Watson) to finish the task. Filming the a�?Seven Harrysa�� on the broom scene was so complex that Radcliffe had to do over 90 takes for a single shot.